Sign up for Broadjam today to follow Lila Senior, and be notified when they upload new stuff or update their news! B.Mus.(hons. ); M.A. Soundtrack Production - Composing for the Screen. Scottish composer for film, TV, animation, theatre & dance. 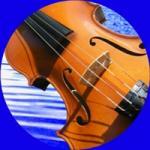 Specialising in Strings, Celtic & Classical music. 28 years' experience as a composer, recording engineer & music producer.